I’m all about functional and multi-use items when it comes to decorating. Really, who has the space to store decorations for every holiday!?! The idea is to not use glue when adding the decorative pieces so you can easily take them off to change it out for the next holiday. 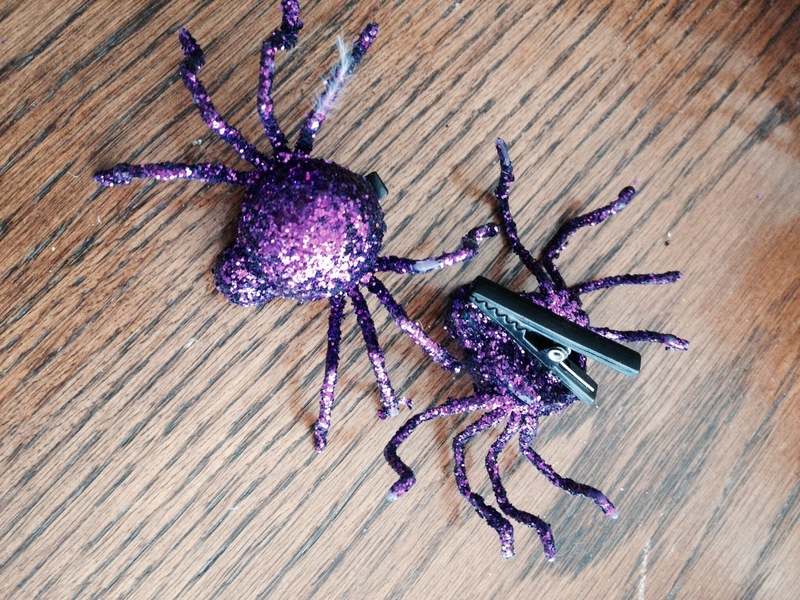 I bought the purple glitter spiders and they had clips on the back, which I thought was genius. 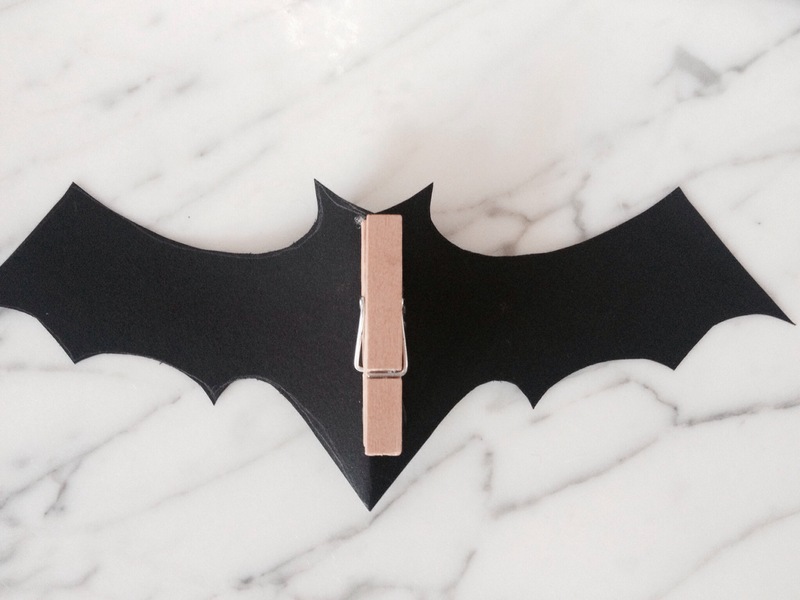 So, I added mini clothes pins to the back of the bats I made, making it super easy to add and take off the decorative pieces. This post is all about showing you how to style the wreath for Halloween, but be on the lookout for future posts on how I easily transition the wreath to be used for Thanksgiving and winter holidays. 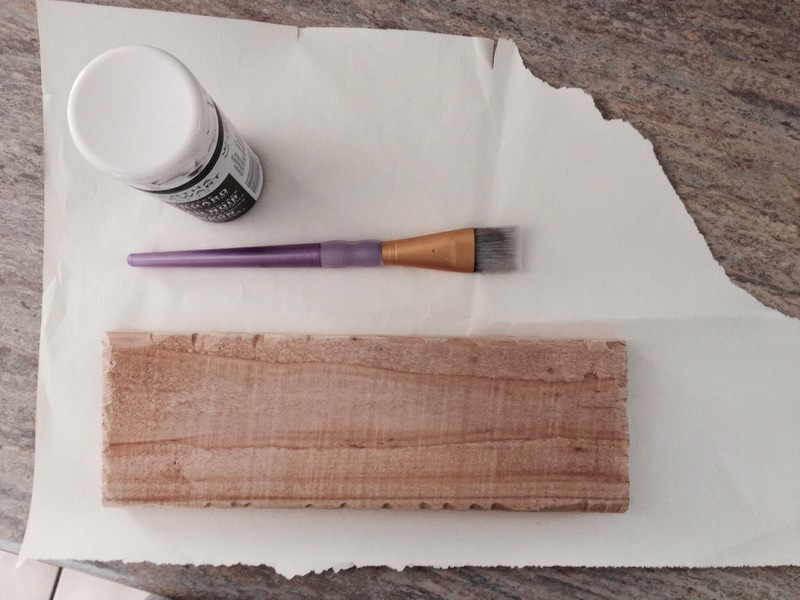 Paint piece of wood with chalkboard paint. After it has dried, put two nails in the back and add twine to create the sign. 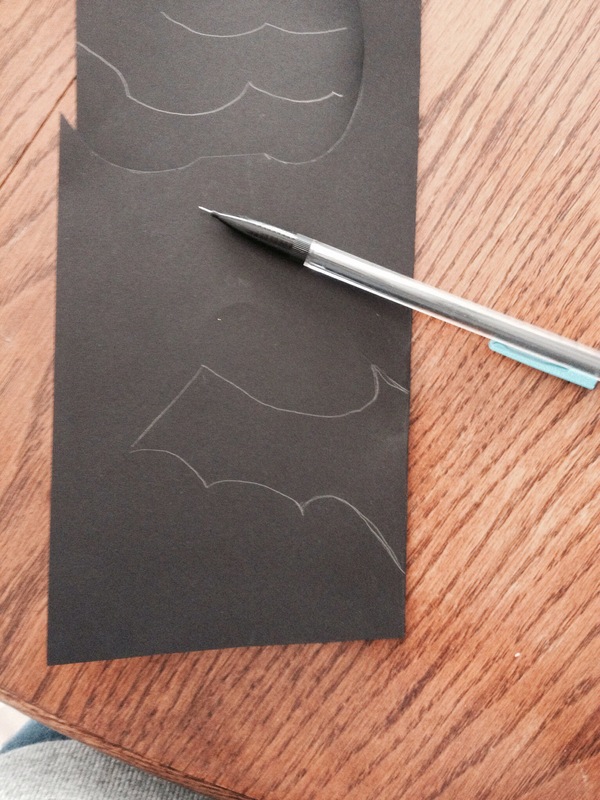 Fold black stock paper in half, sketch out a bat silhouette and cut it out. Then hot glue a mini clothes pin to the back. 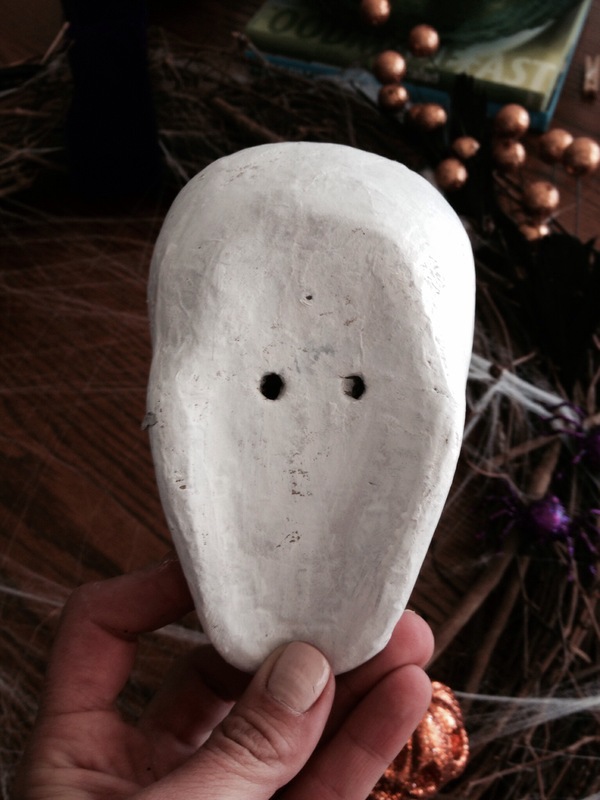 Paint the paper mache skull white. Punch two holes in the bottom so you can thread floral wire through it in order to secure it to the wreath. 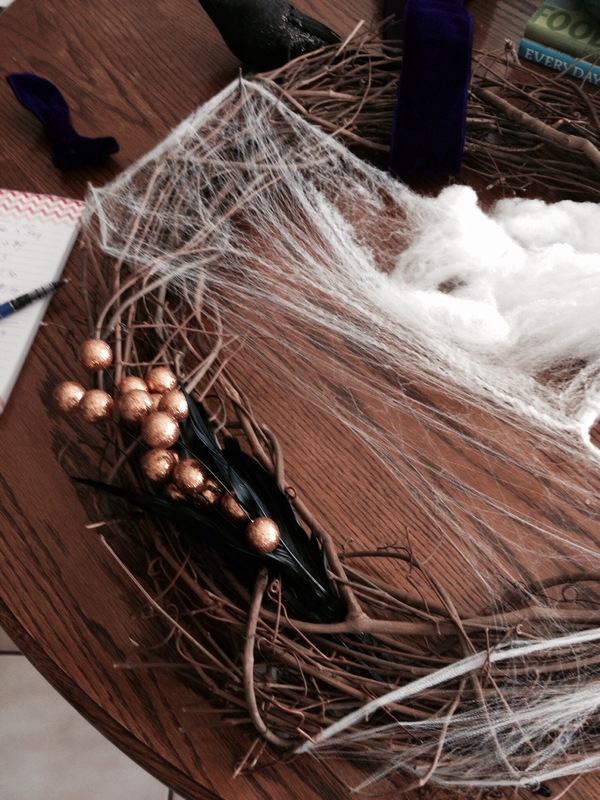 Add spider cobweb to wreath. Insert the decorative picks, they stay in place without having to glue or add wire. Clip on the spiders and bats. Using wire to secure add the crow, skull and sign.